--Can ultrasounds cause autism? Possibly. --Does fetal monitoring prevent/accurately depict fetal distress? No. --Should gestational diabetes be prevented with diet or treated reactionarily? --Why does the U.S. have one of the highest infant death rates in the industrialized world? --Why does the CDC's vaccine schedule include a vaccine for a sexually transmitted disease (even if you/your partner don't have it) - at infancy? --Why is Iceland's C-section rate 14.6% while the U.S. rate is 32.8%? Correspondingly, why does Iceland have a much lower maternal and infant mortality rates? --Why are some hospitals selling baby foreskins? 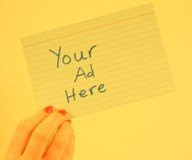 --Why are more than 50% of kids in the world potty trained by age 1, whereas U.S. babies are about two years behind them? I hope these issues have you scratching your head. They're only a fraction of the thought-provoking and unsettling things brought up by Jennifer Margulis in her book, The Business of Baby. When I first heard about the book, I was excited to read it. Jennifer is a very smart woman and an investigative journalist published in the New York Times, Smithsonian, More, the Washington Post, Mothering.com, Parents, Parenting and many others. Her arguments are always well researched and backed up. Whether or not you agree with her position, you'd have to agree she's done her homework. She's a thinker and lives purposefully, living by her beliefs instead of being on cruise control even when that's more difficult. 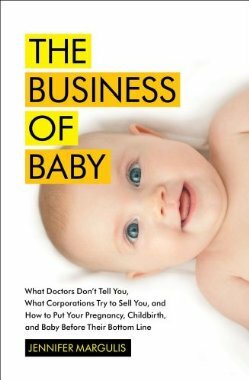 The full title of the book is The Business of Baby: What Doctors Don't Tell You, What Corporations Try to Sell You and How to Put Your Baby Before Their Bottom Line. When she first told me about it, I thought the book was going to cover topics like educational toy companies that produce items like Baby Einstein videos, and how the U.S. spends so much more on toys than any other country and how many of these toys contain phthalates (for example). That would be a great book (and a potential follow-up, Jennifer - you're welcome!). What she researched and wrote, though, is much better. This is a book every woman should read. It's an awakening. And it's a weighty book (though easy to read). I'm someone of "advanced maternal age" whose womb is hopefully closed for business. My kids are way beyond the baby stage. But the book opens up insight into a medical system that is not always on our side, sad to say. It's not shocking to hear there are competing interests in medicine. Jennifer exposes these interests not only by interviewing doctors and patients, but with lots and lots of research studies and examples from around the world. I'm not one for birthing in a tub at home (that's fine for other people). I gave birth to my kids at a hospital knowing full well I wanted an epidural and would have immediate access to the best possible medical care. My birth experiences were mostly positive (we all have our birthing stories). But after going through the hospital experience twice, I can totally understand why women don't want to deliver that way. If I were doing it again, I'd consider getting a doula or midwife, and trying a birthing center instead (home birth doesn't appeal to me at all). One thing I learned from my own experience (and was reinforced by this book) was that intervention leads to more intervention and the reason for intervention is not always accurate. Some of these chapters sound provocative and conspiratorial. And perhaps some are a little. Even if you take them with a grain of salt, it's pretty clear that the financial system in the medical world rules a lot more than you might think. And that can affect you and your baby negatively. Even for those of us with older kids, this awareness will cause me to look at future vaccinations with a different eye, and to question some of the doctors we see for well-child care or for illness. The book is not intended to scare parents. It's intended to get them to ask questions and do their own research, without relying on "just what the doctor ordered." I'll finish with a telling quote from the book about obstetrics from a physician who practices it: "It's the least evidence-based discipline in medicine." To me, that's the crux of the book. There's a lot less known about child development and birthing than you may realize. And that should make you think twice about relying on your doctor's advice without asking lots of questions and doing your own research. Tomorrow I'll interview Jennifer to get more of her take on the book. Sounds really interesting. I look forward to finding it at the library. I'm also hoping my womb is closed for business, but I have many family members and friends still hoping to have babies.